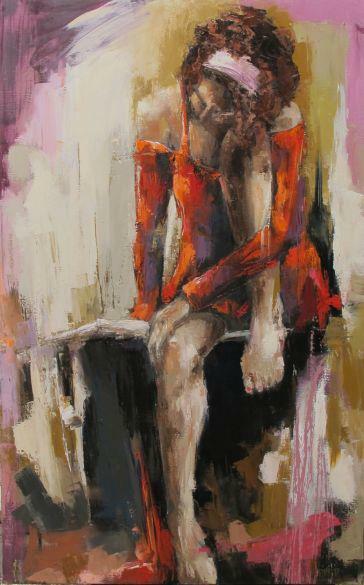 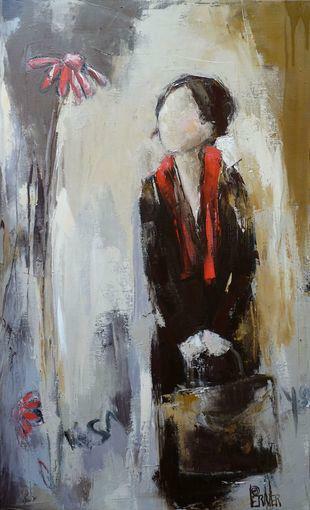 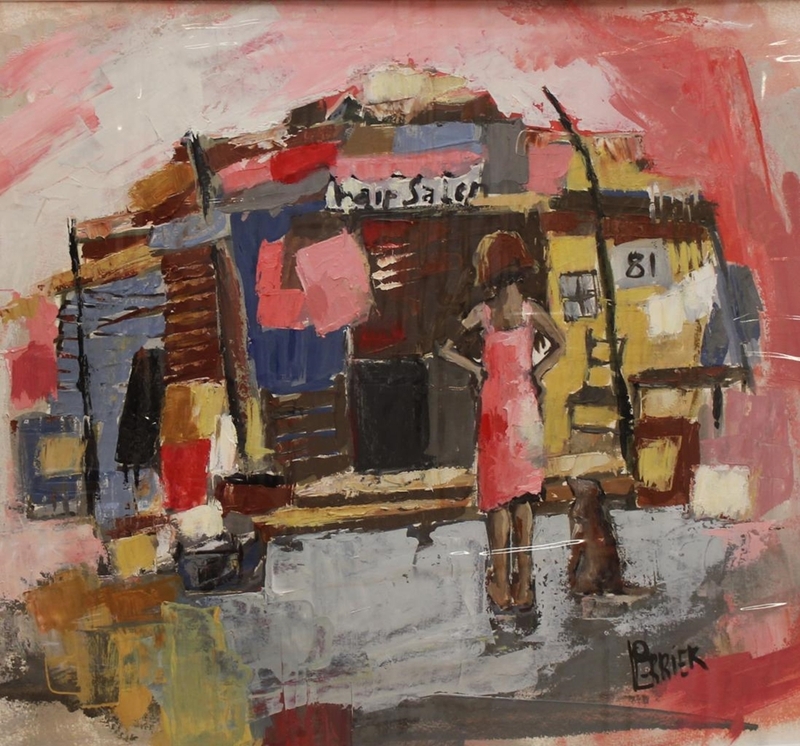 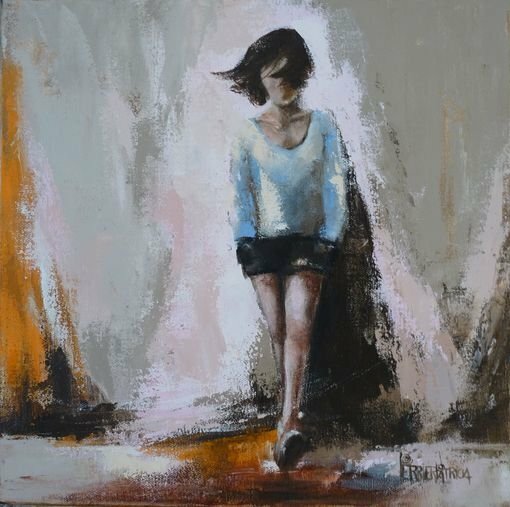 Patricia Perrier-Radix was born in a small village located in the Monts du Lyonnais called Yzeron. 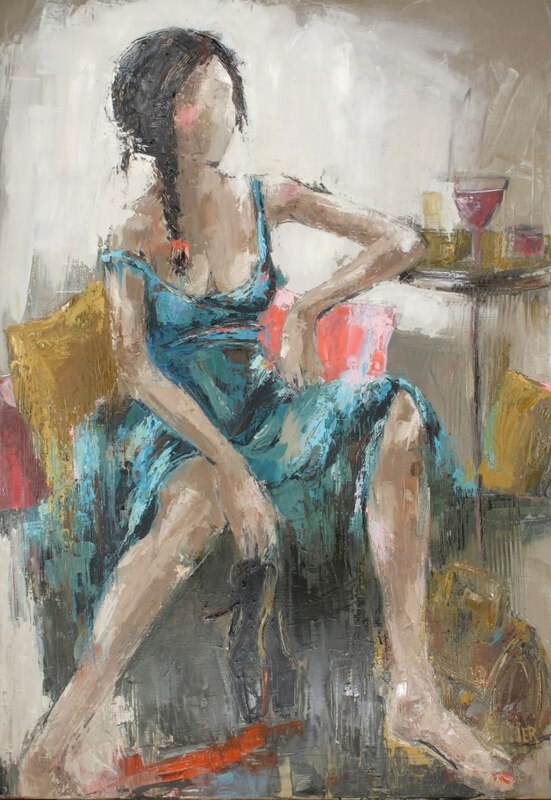 As a gifted, self-educated woman, she had been drawing with passion for ages. 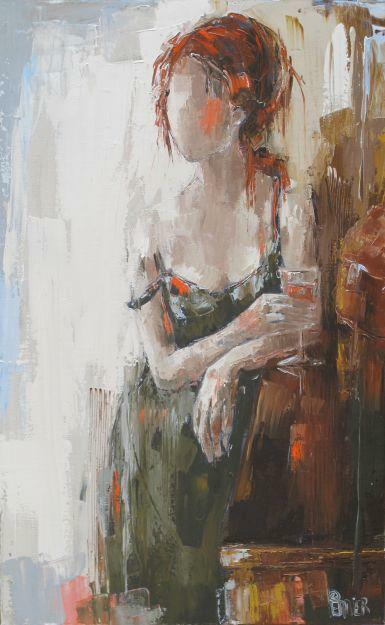 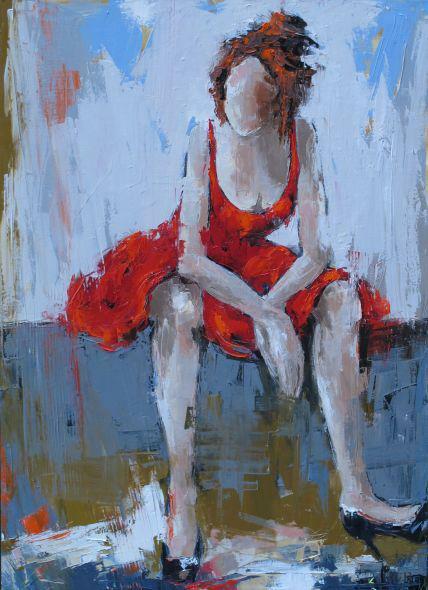 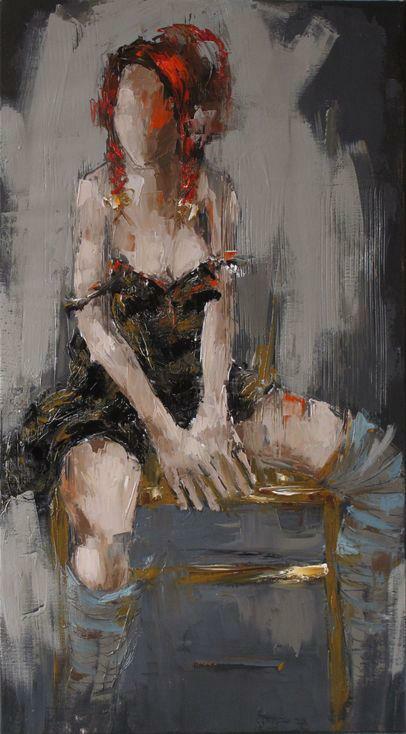 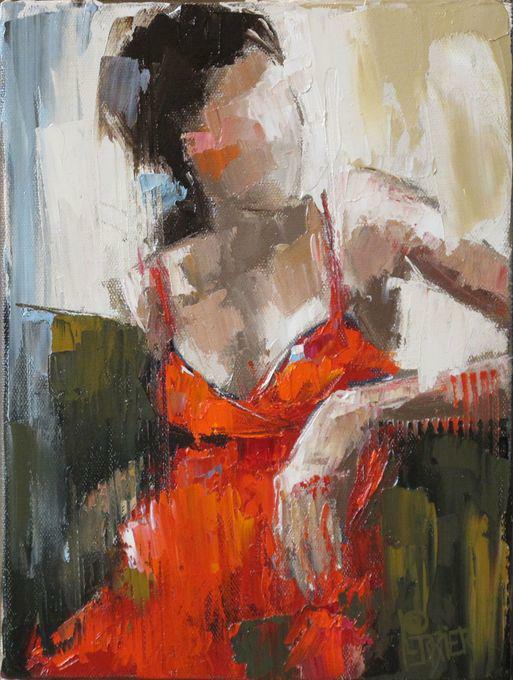 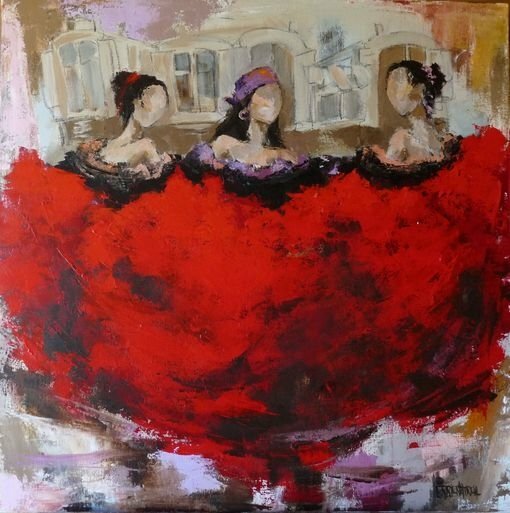 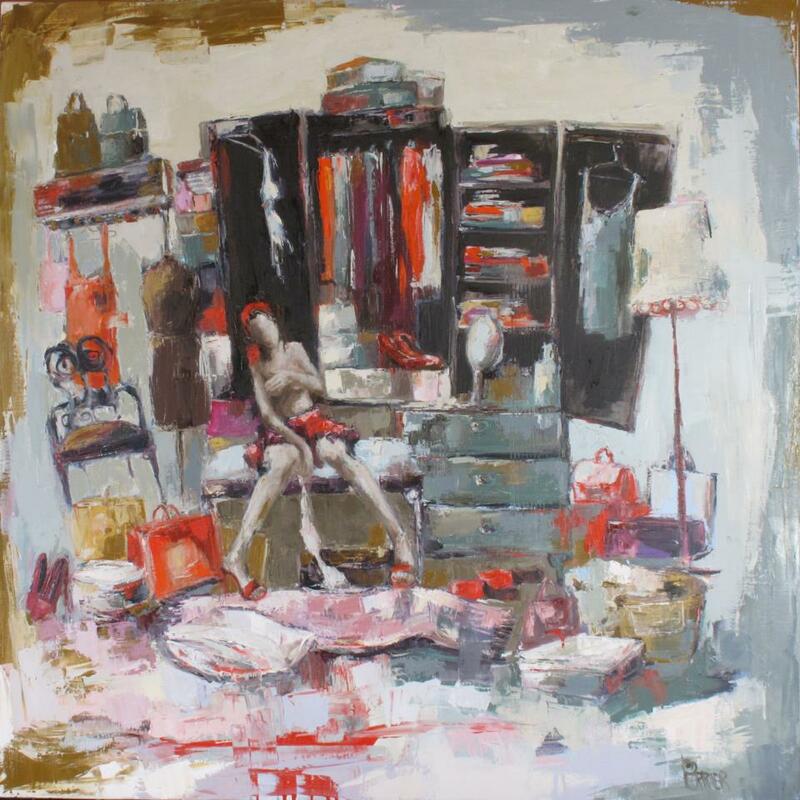 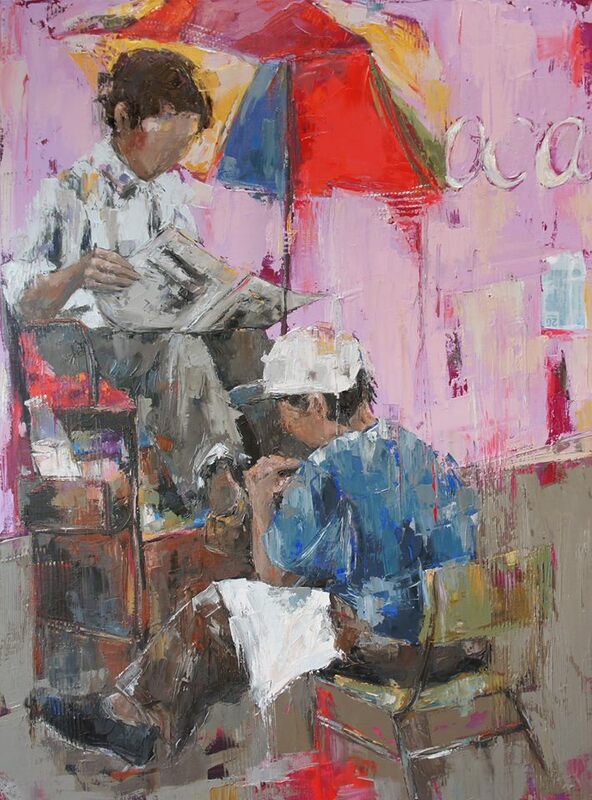 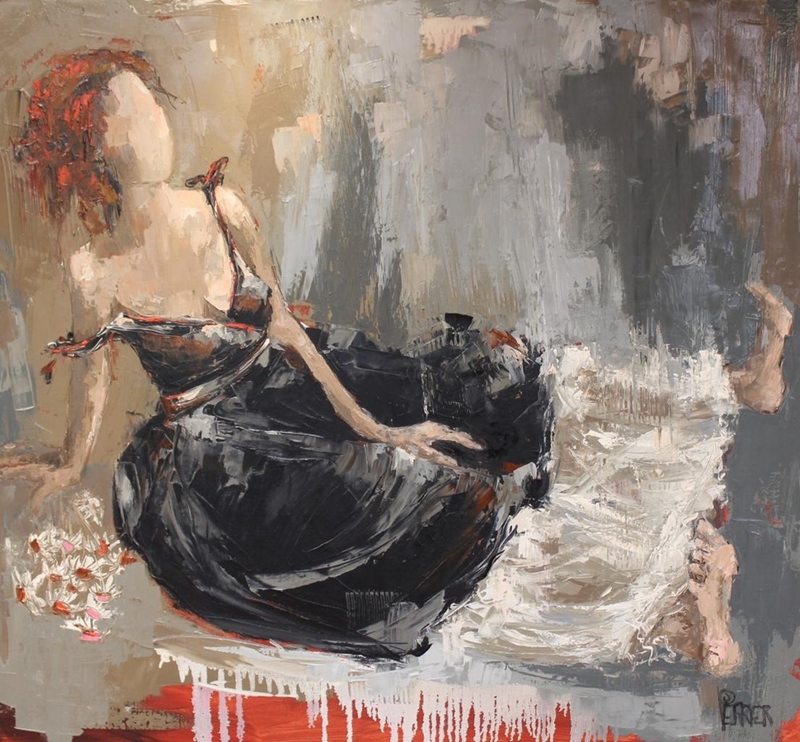 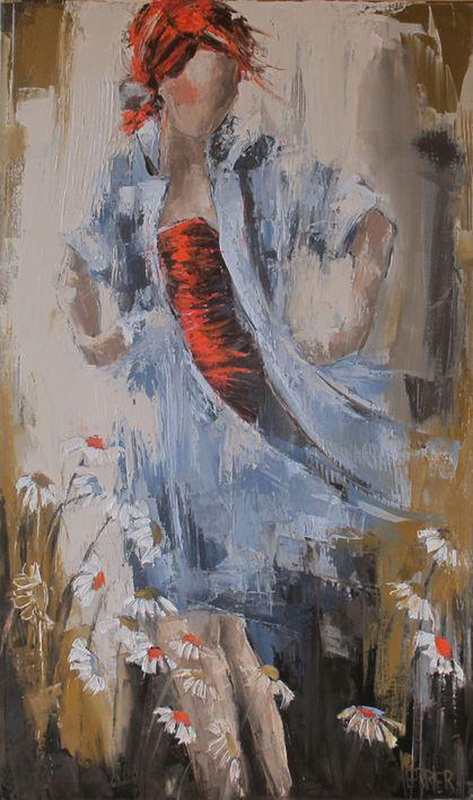 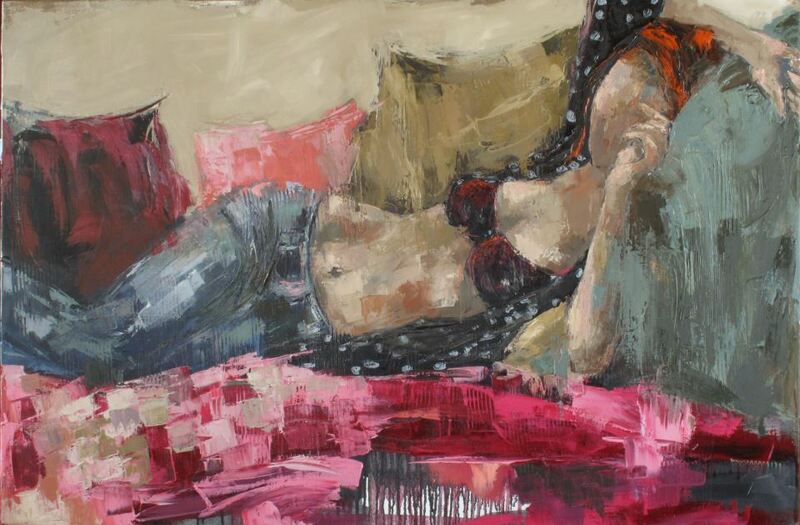 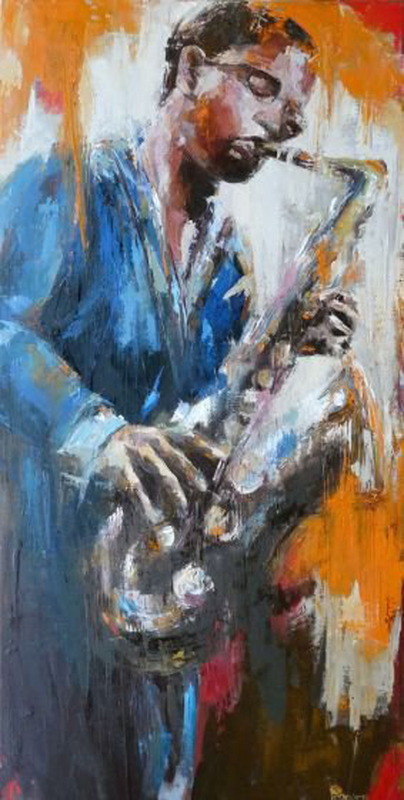 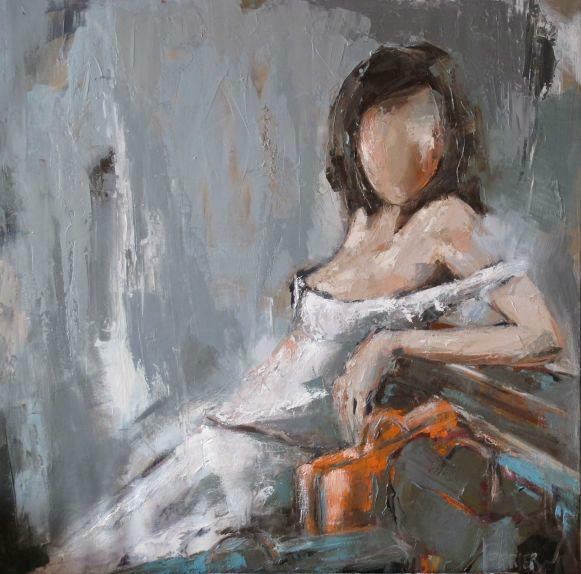 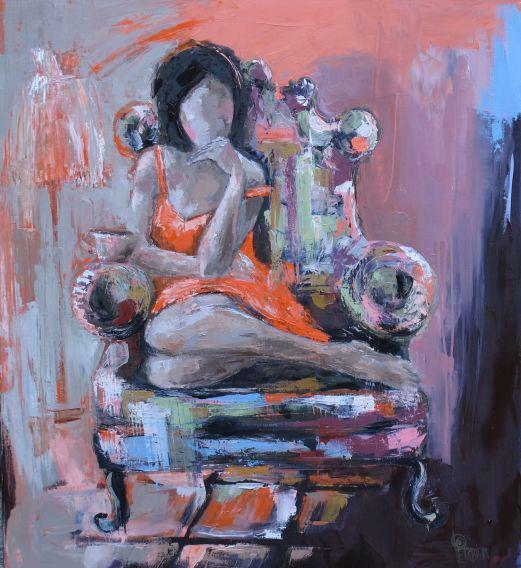 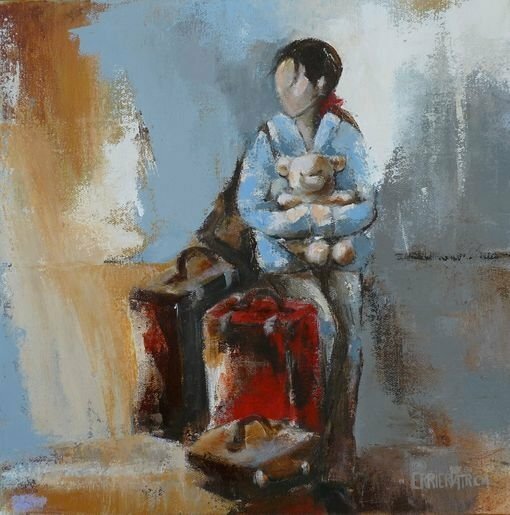 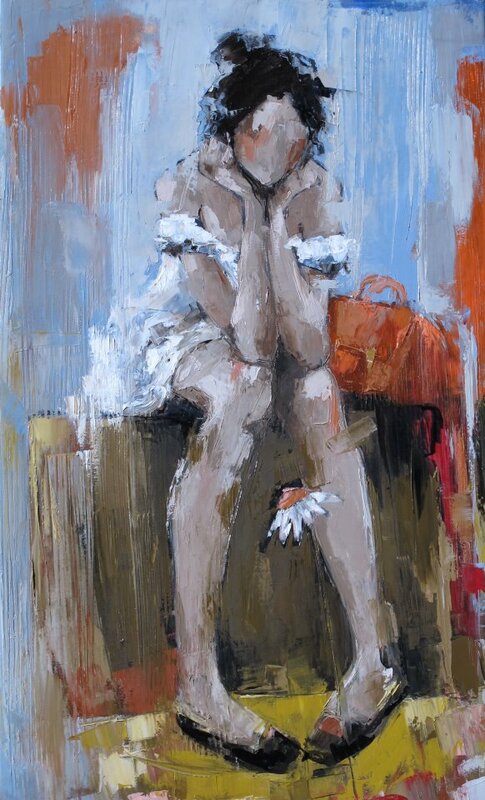 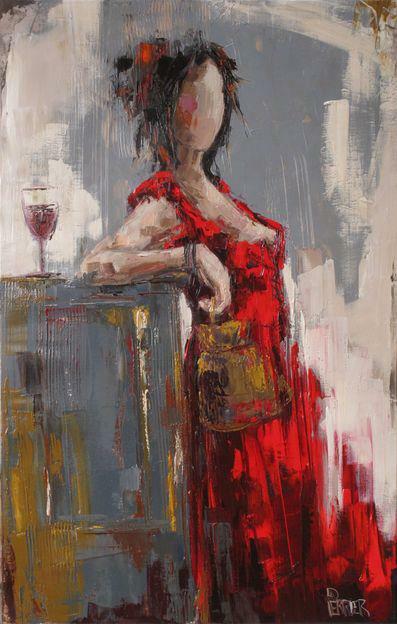 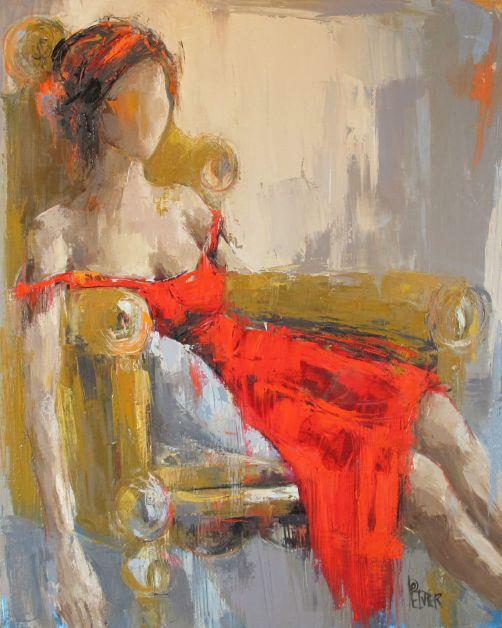 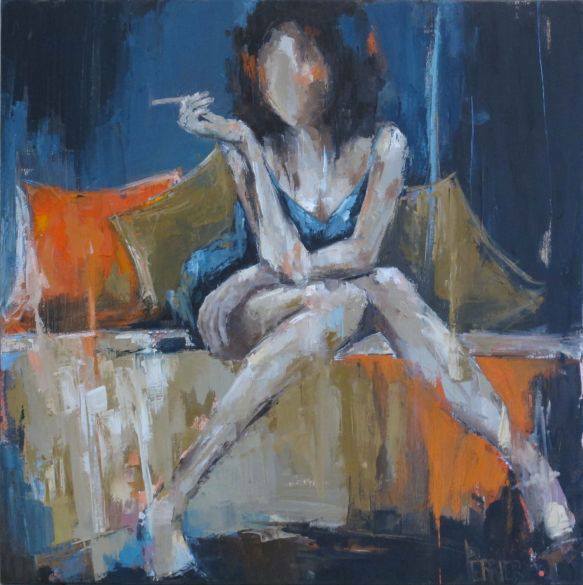 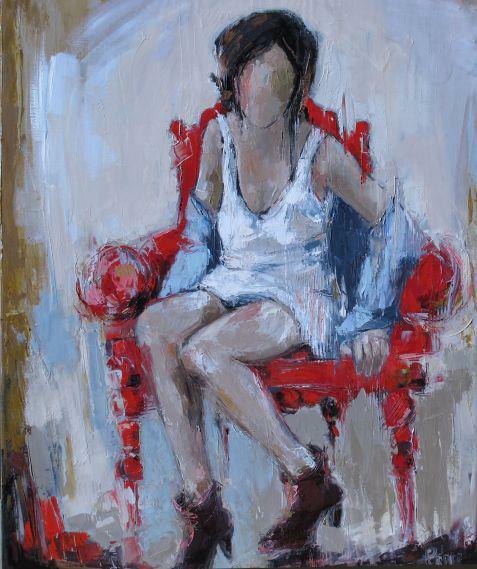 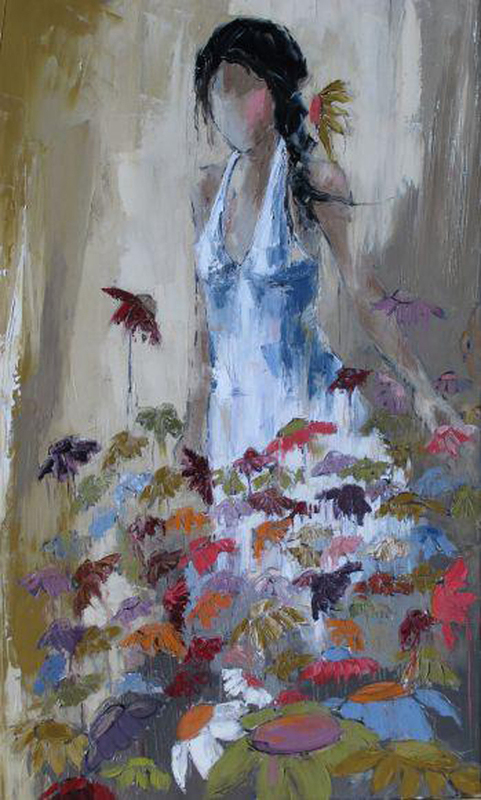 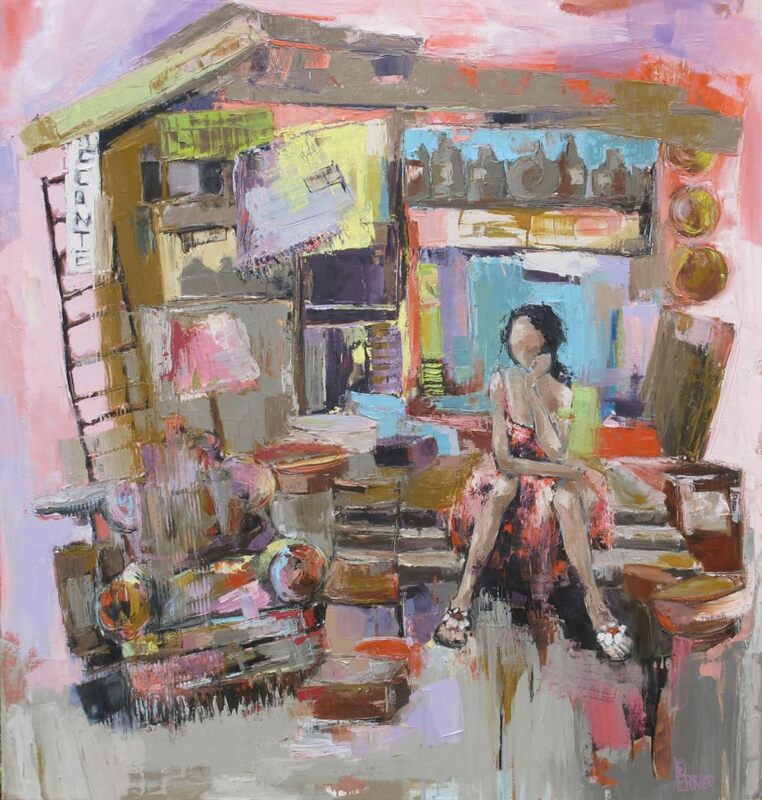 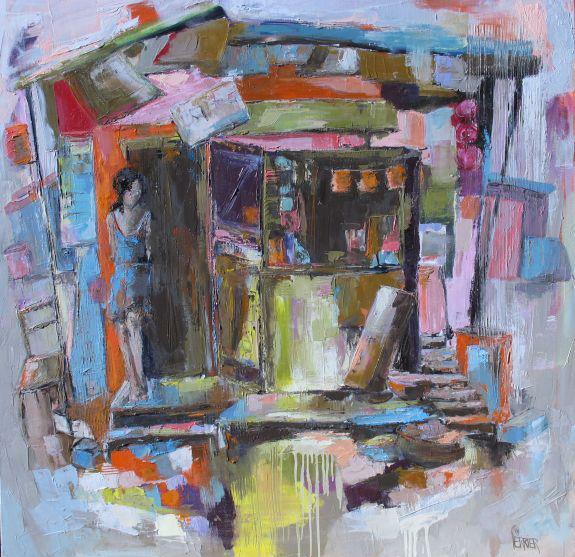 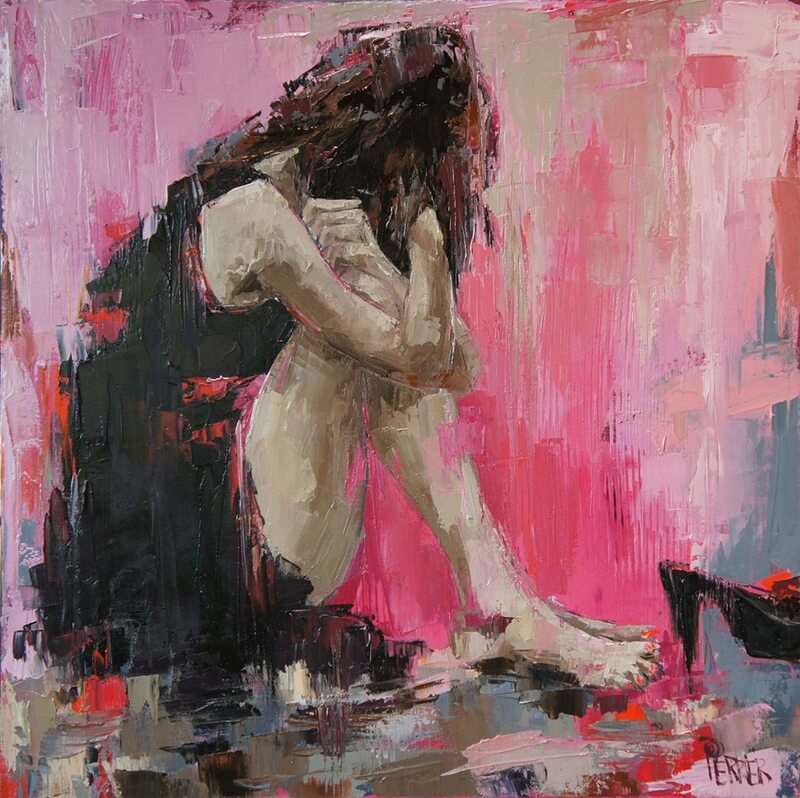 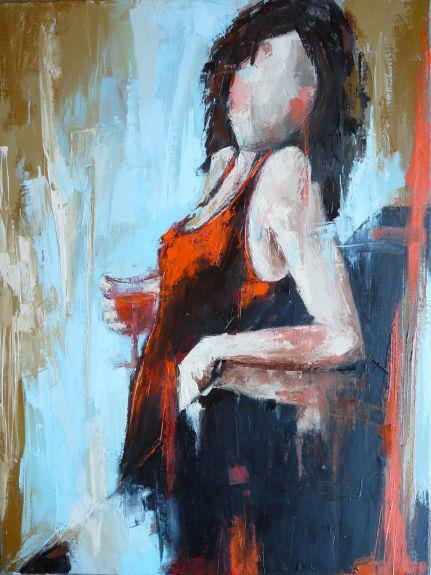 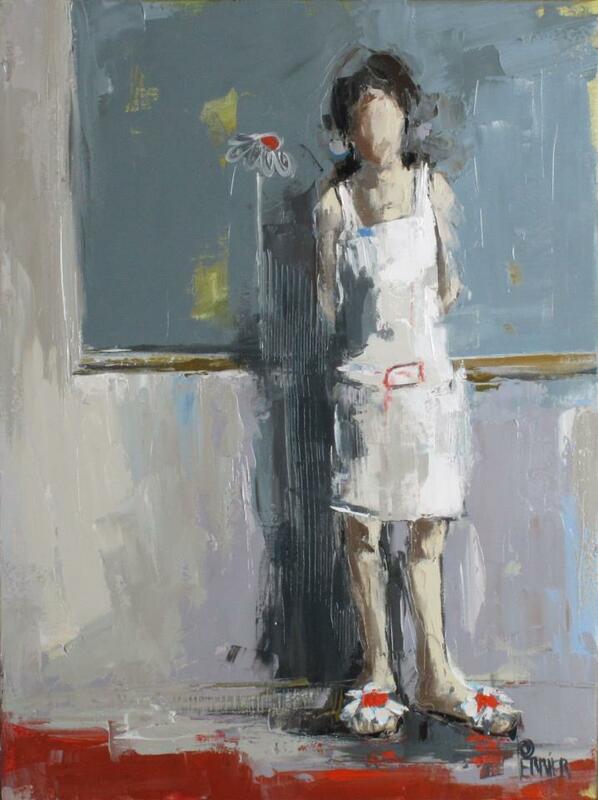 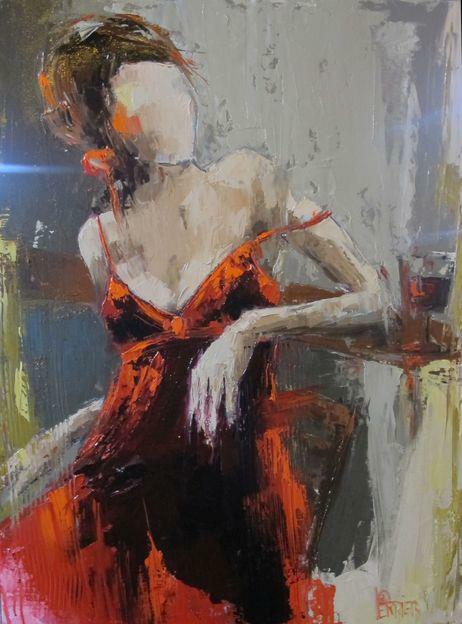 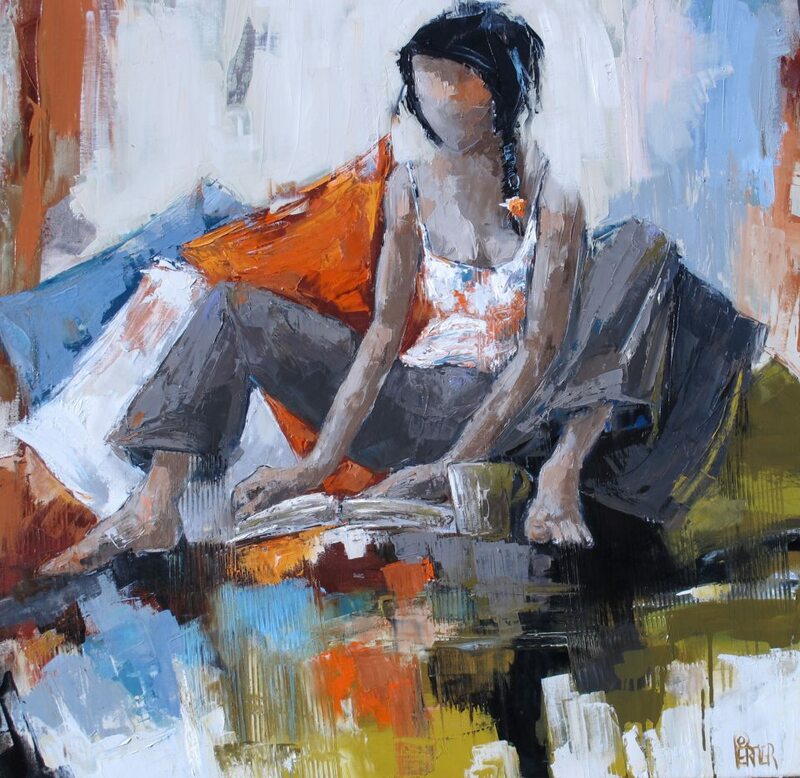 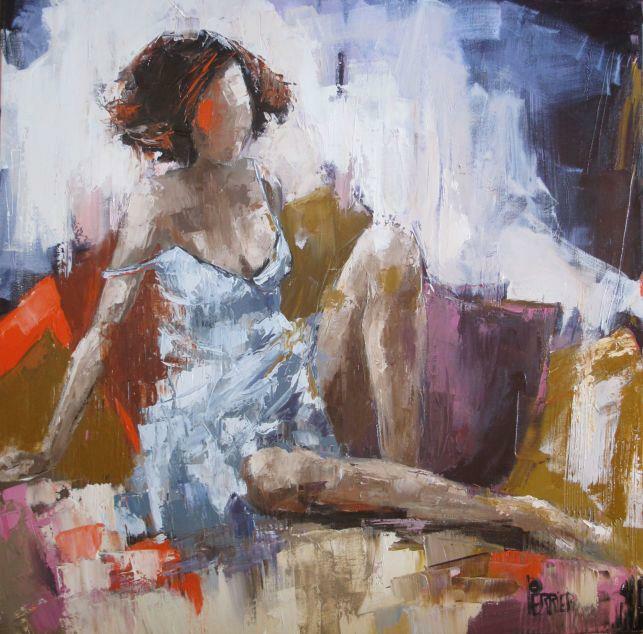 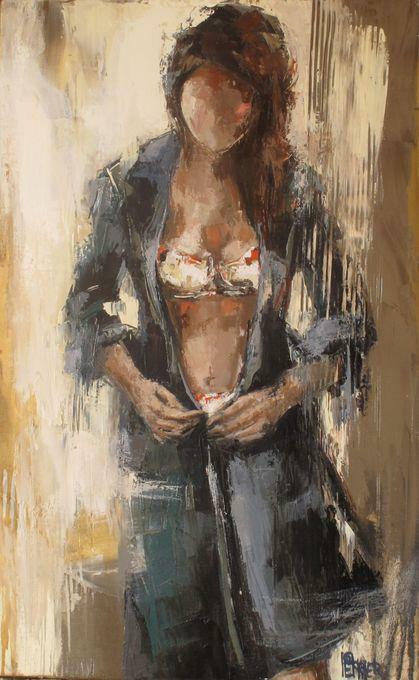 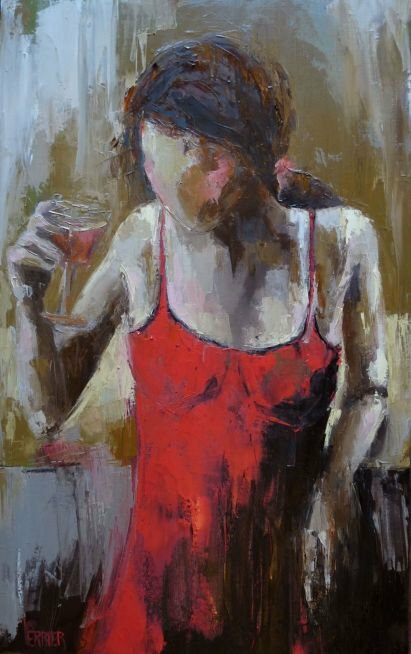 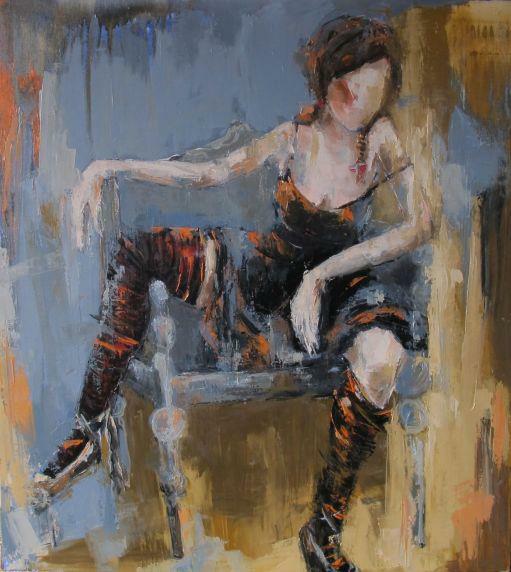 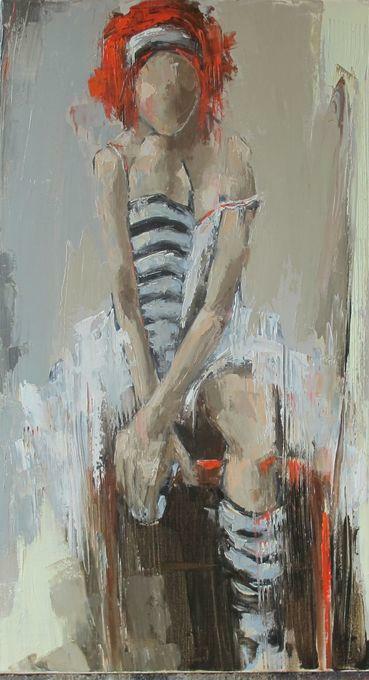 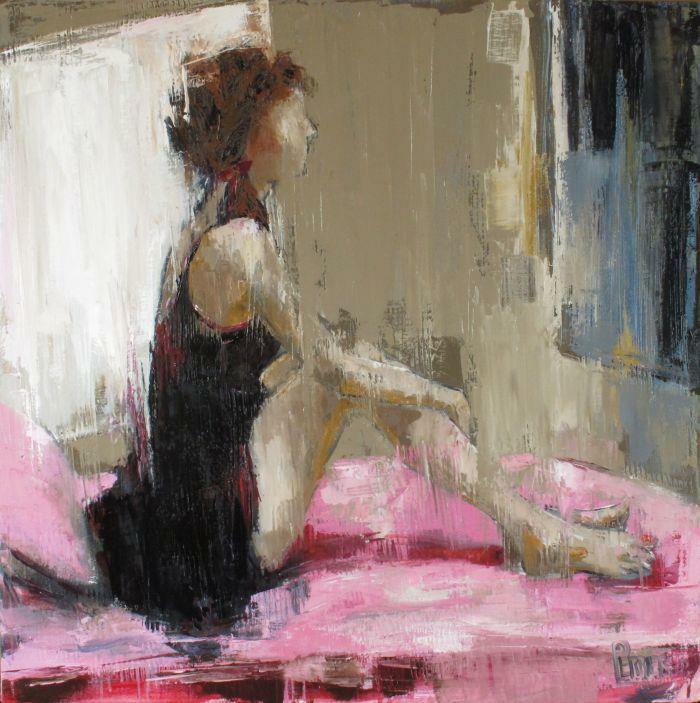 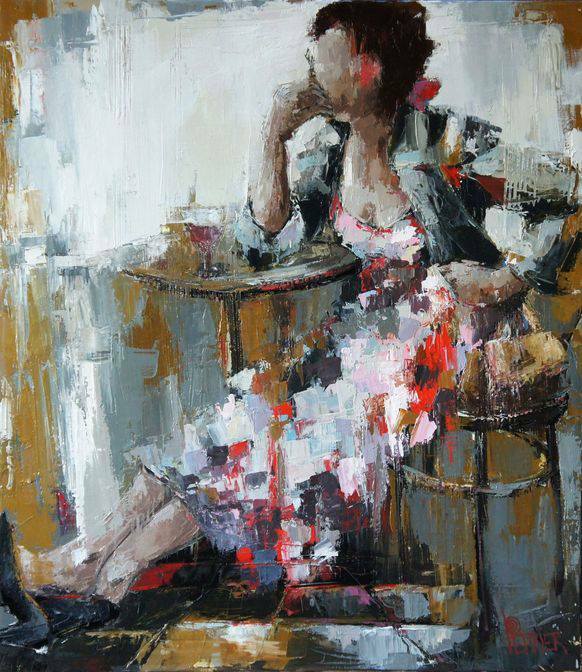 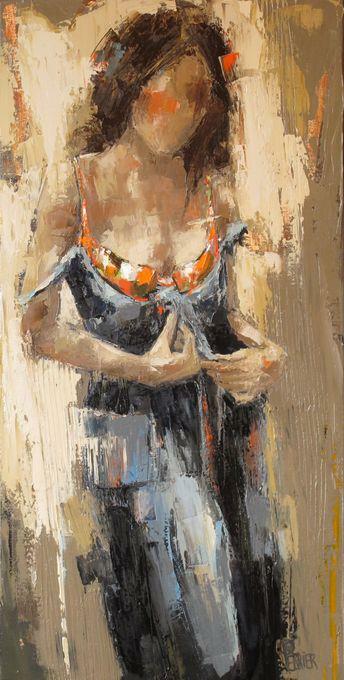 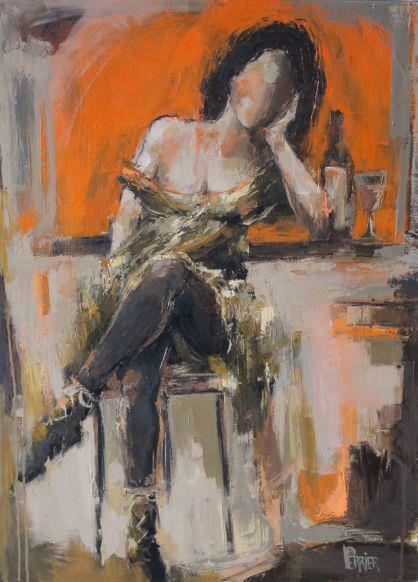 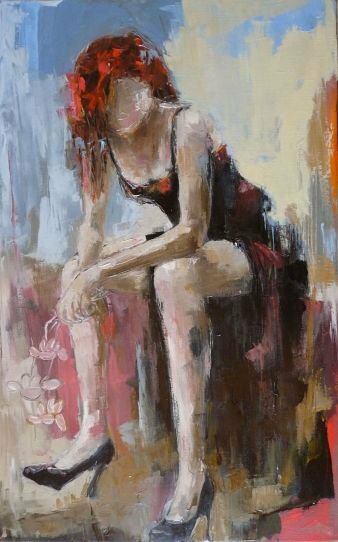 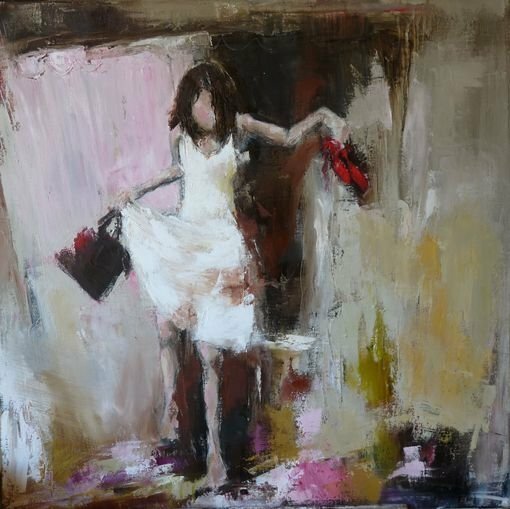 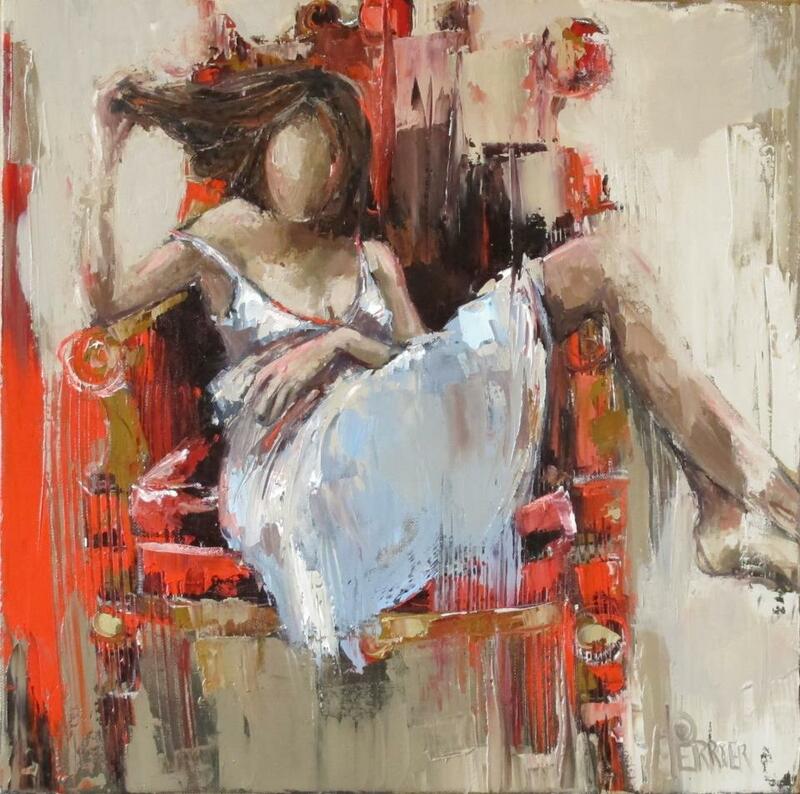 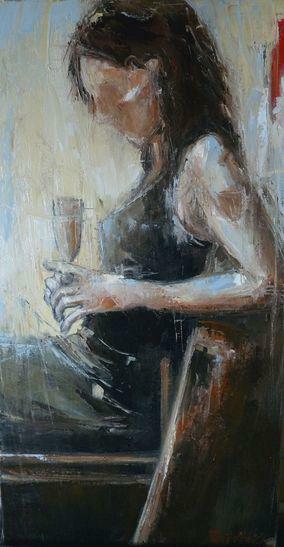 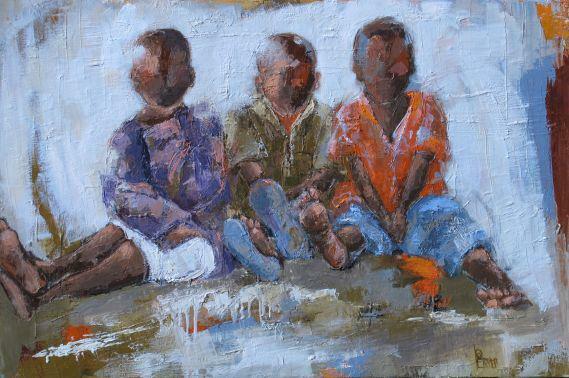 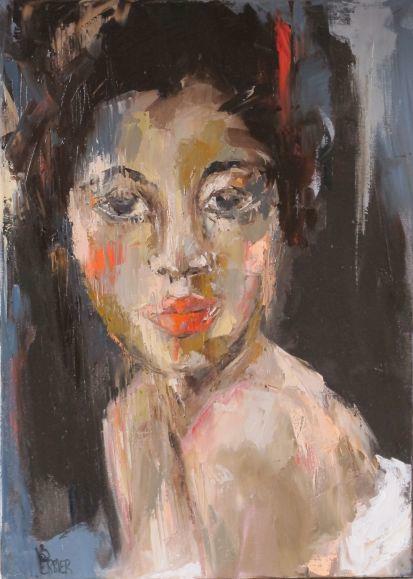 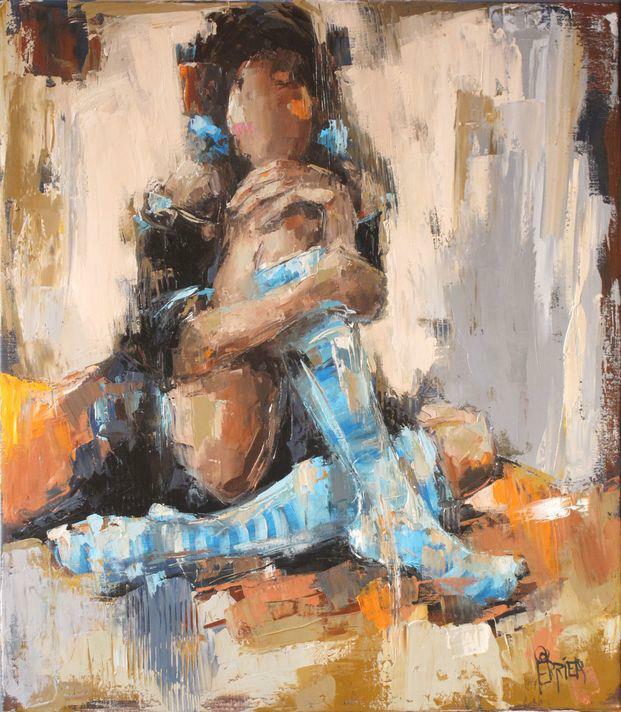 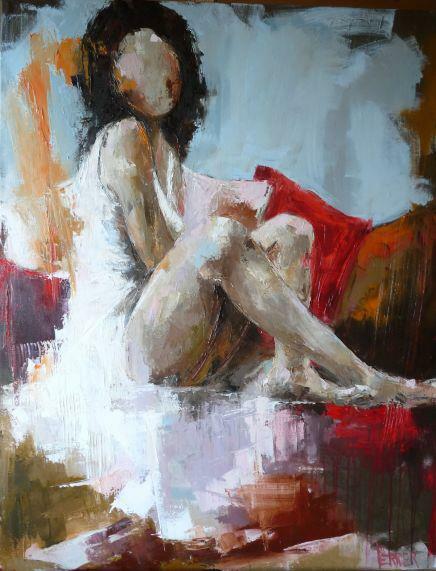 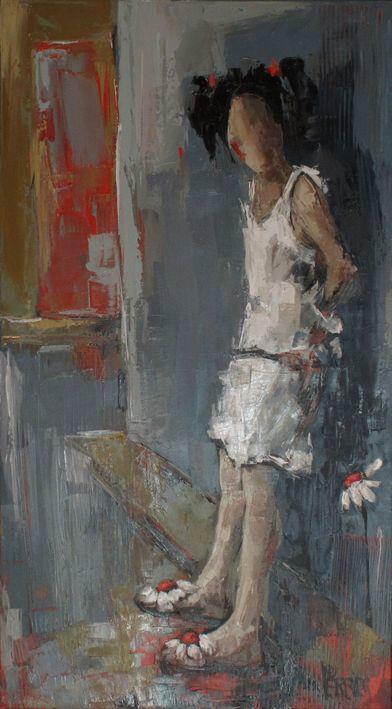 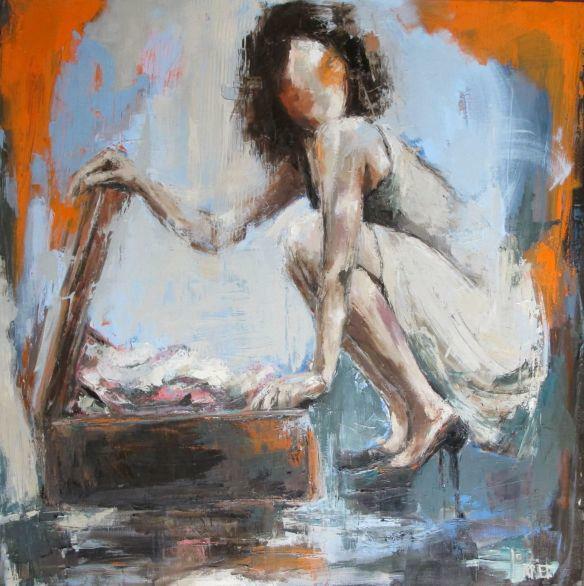 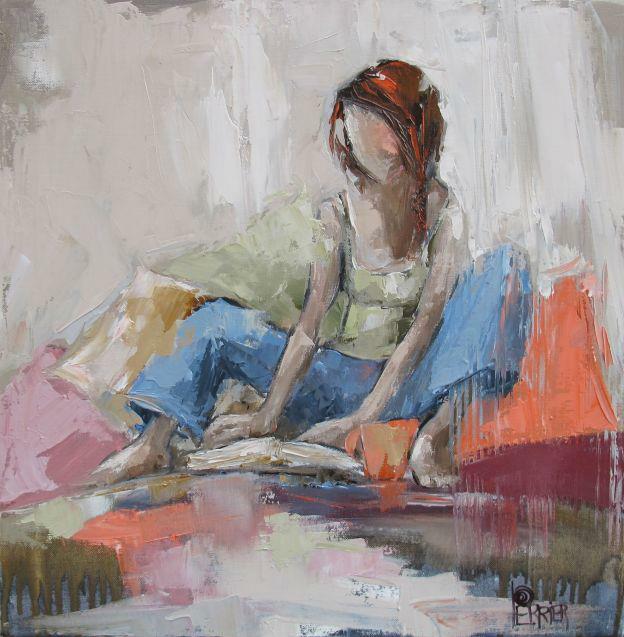 Now thanks to her very distinct style, she mostly paints very contemporary - sometimes even abstract - figurative compositions with oil paints shaped by palette knives. 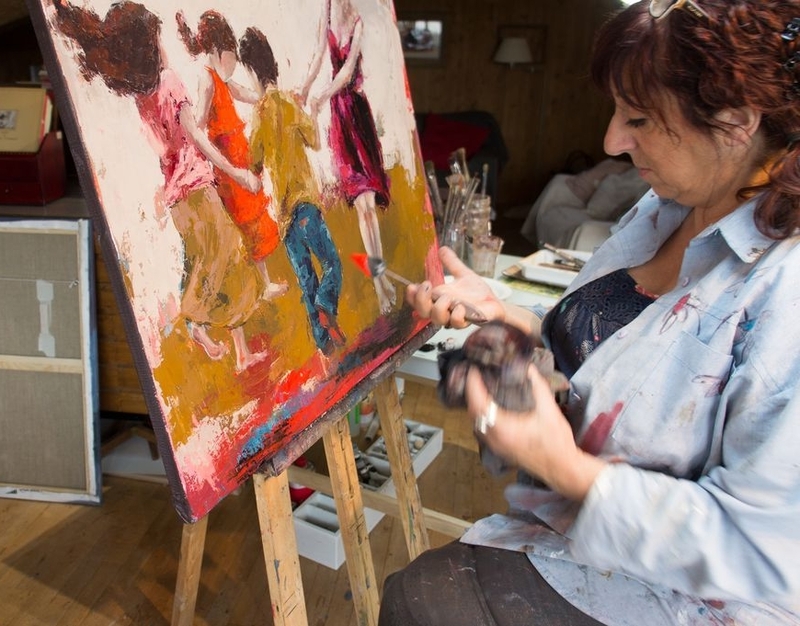 “Painting is my oxygen!” as she says. 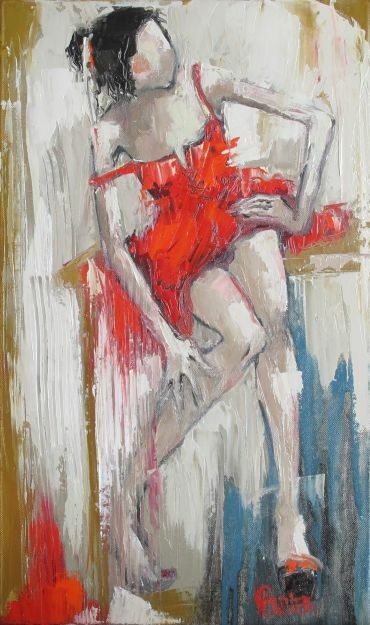 With all her determination, she puts all of her emotionality, strength and requirement into her work, making “the Other One” in her surfacing through a hinted vision, catching with talent the ambiance of a scene, the colour of the feelings and the true essence of her characters during the ephemeral moments of their movements or attitudes. 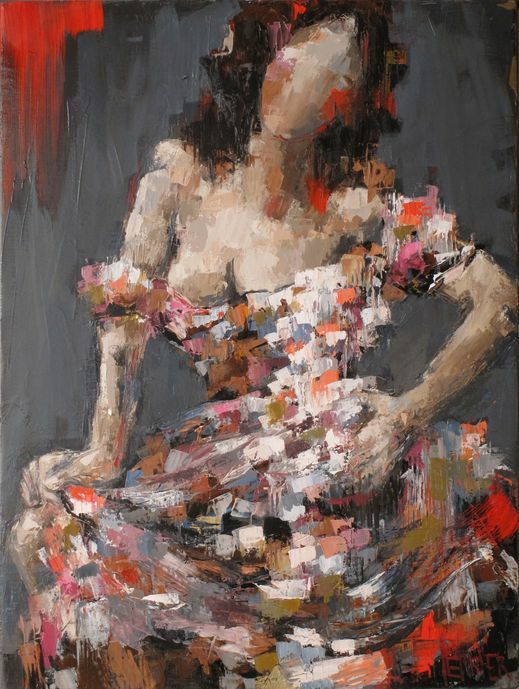 Her works mostly stage female characters. 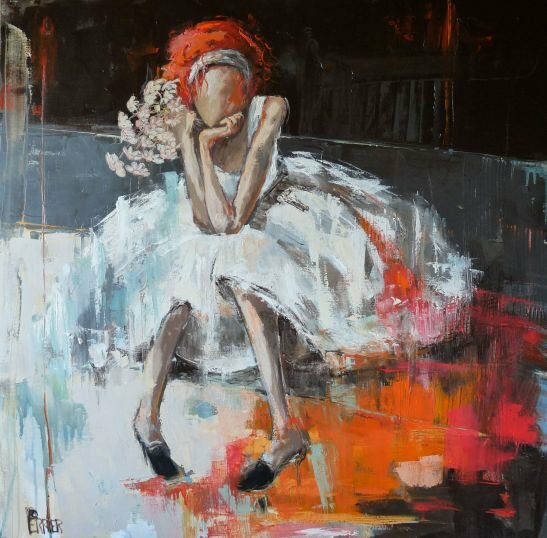 Patricia's eyes lay with delight upon the simple moments in life which she perfectly places on her canvases, never to immobilise them. 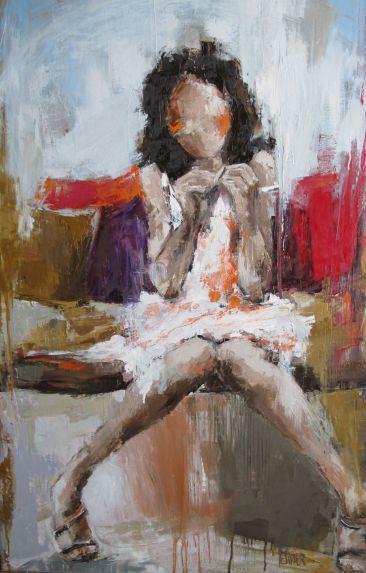 She catches the grace in the attitudes of her mischievous, sulky, weak, determined or falsely absent characters. 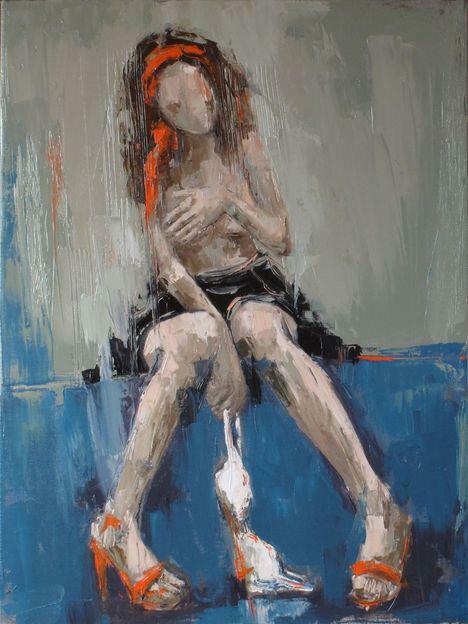 Her art is free and the topic plain, with no vanity. 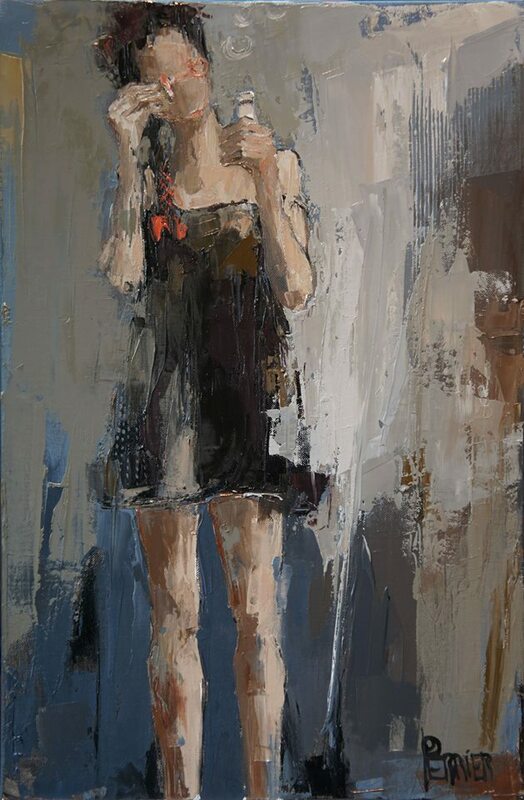 Every painting has its own story whispered in the sophisticated paths of the lines and the expressive touches of colour - sometimes generous, sometimes finely executed by subtle transparency effects. 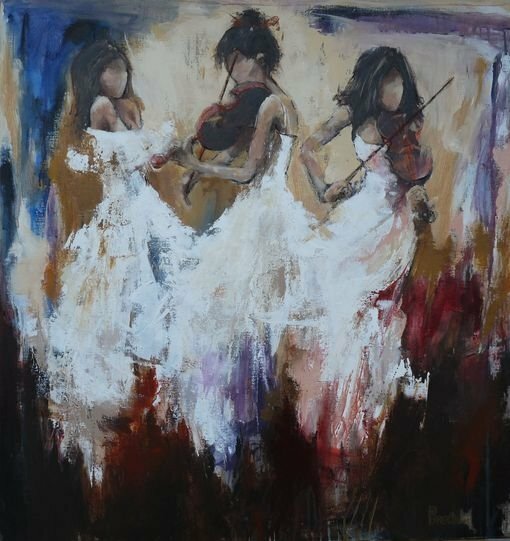 The silhouettes charmingly carry all the strength of expression and take a distinctive dimension thanks to the plain faces the artist let us imagine. 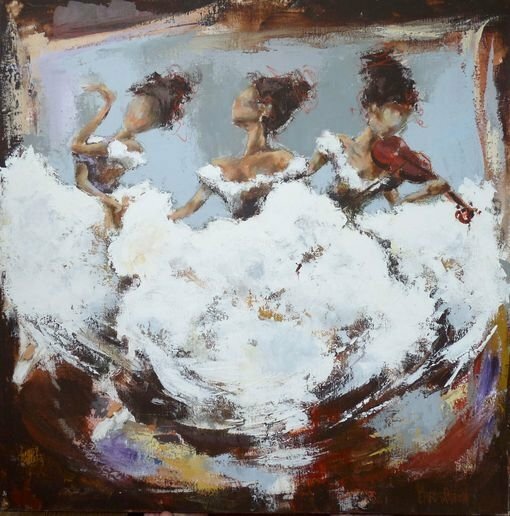 Passionate and amused by the many faces of the human being, the artist gives density to these ephemeral attitudes, these suspended moves and these imagined discussions. 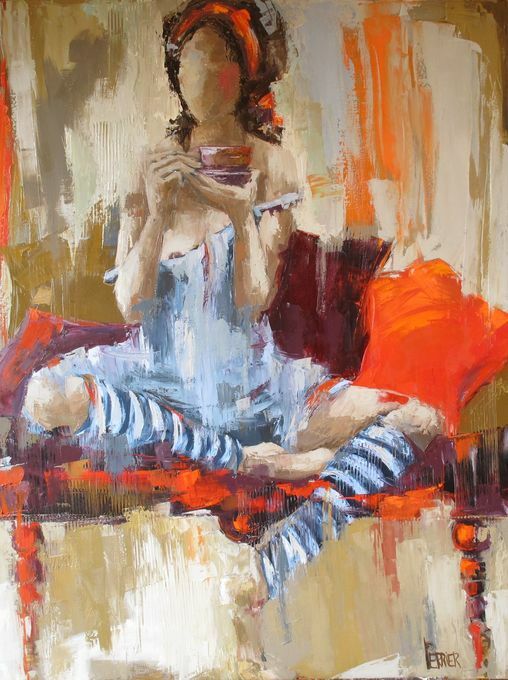 So many ingredients necessary to achieve her very peculiar form of writing. 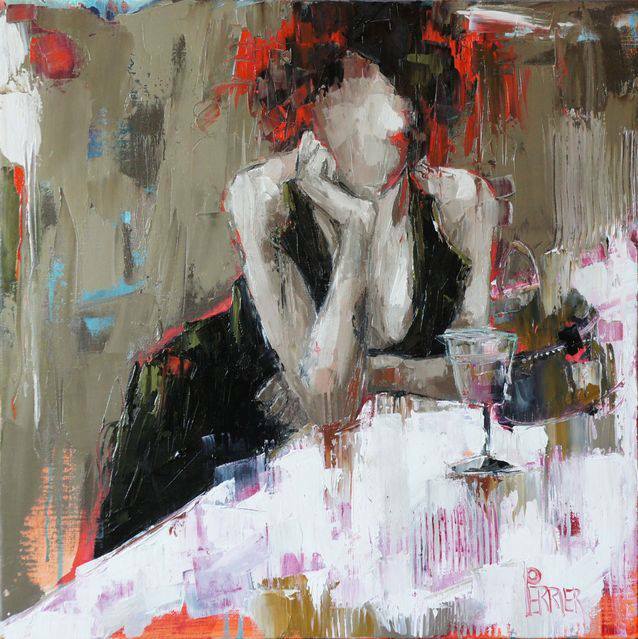 The artist gives, but does not unveil the whole of its art, enabling the spectator to discover what the painting slowly evokes for him. 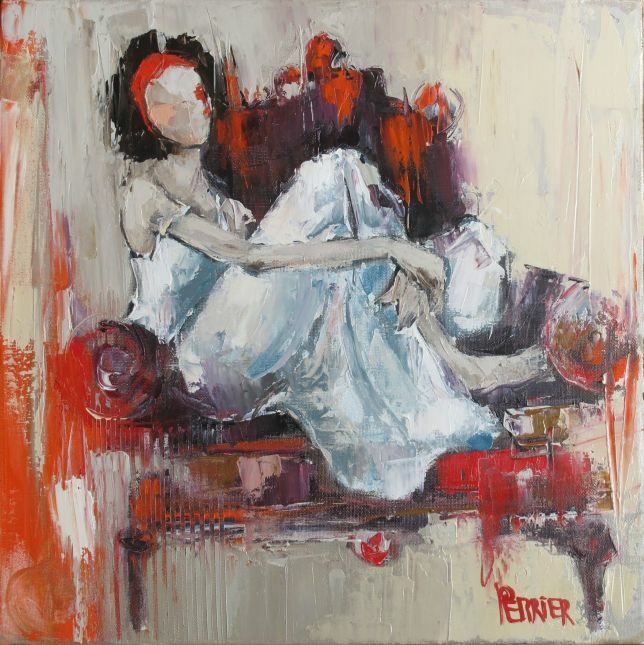 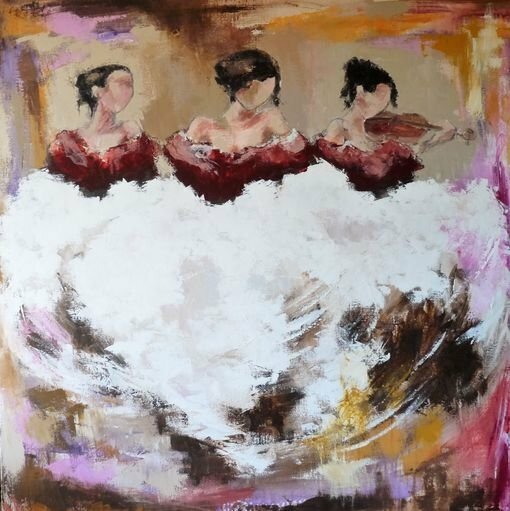 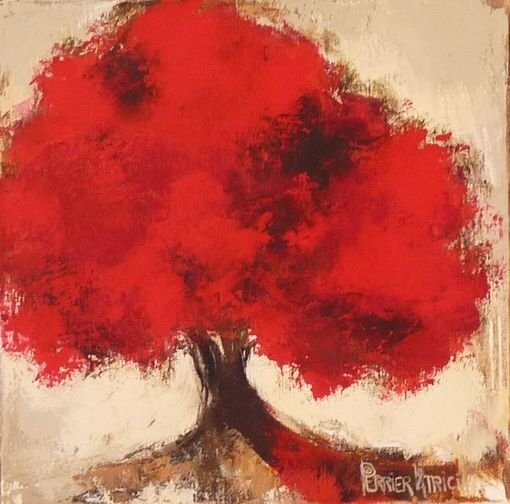 Patricia Perrier-Radix exhibits her works in several galleries and numerous art conventions (often as the guest of honour) in France and abroad. 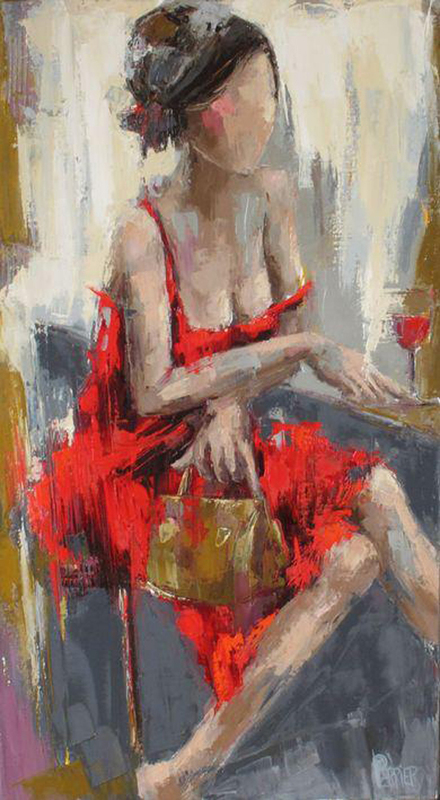 She has received several prizes and awards during the last ten years. 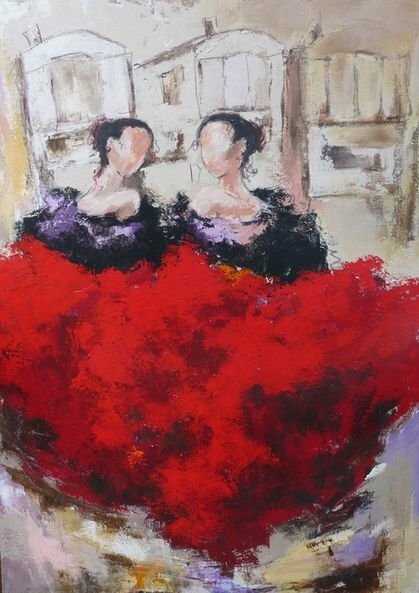 There are lot of private collections of her art around the world - in France but also in Dubai, Qatar, New Zealand, Morocco, Belgium, Switzerland, Russia, The United States, Mexico.